Natural gas is the most environmentally sound of all of the fossil fuels, both plentiful and geographically dispersed and in the form of LNG combustion, producing fewer harmful emissions than other fuels like diesel. With emissions an everyday topic within the media and a major concern for business, LNG is significant and in the long-term, in demand. 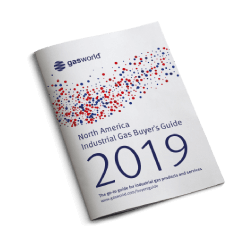 With demand continuing to rise, conundrums in the supply chain require resolution; an alternative to the pipelines currently transporting 90% of gas around the globe is needed. And this is where the industrial gases business, with all of its expertise in cryogenics and related equipment, comes to the fore. When cooled to -162ºC, natural gas liquefies, reducing it to 1/600th of its original gaseous volume and enabling efficient transportation across long distances. For such long distances, this is the most viable option. It is most economical to liquefy the gas and transport this LNG using large sea-going vessels equipped with special tanks. Inevitably, due to the ingress of heat, some of the LNG will vaporise – if not utilised as a fuel for the vessel, the generated vapour can be reliquefied and returned to the cargo tanks for delivery. Here, industrial gas and equipment is required in unlocking LNG’s potential. 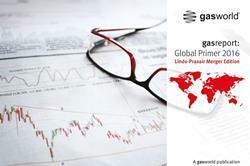 Indeed, a recently published report by Mordor Intelligence titled Global Cryogenic Equipment Market – Growth, Trends and Forecasts (2016-2021) highlighted the relationship between the LNG business and the cryogenic equipment field as it cited a compound annual growth rate (CAGR) of 7.4% for the latter during the forecast period, largely driven by the former. Growth in global LNG usage and trade is a great influencing factor for the cryogenic equipment market, it explained, as governments around the world take various measures to reduce the carbon footprints in their respective countries and various examples of cryogenic equipment are involved in realising this uptake. 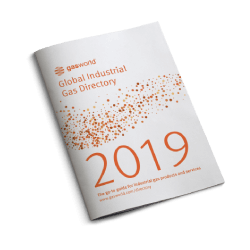 In Europe and North America, the market for upgrading and retrofitting is expected to accelerate in particular as greater efficiency and regulatory compliance is sought. A notable growth driver in the LNG sphere is the marine sector, especially as Emission Control Areas (ECAs) – large sea zones operating under strict controls to minimise airborne emissions such as sulfur oxides (SOx) and other particulate matter – tighten their emission limits. Since 1st January 2015 the four established ECAs established under MARPOL protocol Annex VI – the Baltic Sea area, North Sea area, North American area and the US Caribbean Sea area – have tightened limits further and require ships trading in these zones to use fuel on-board with a sulfur content of no more than 0.10%. This is a clampdown from the limit of 1.00% effective up until 31st December 2014. According to the International Maritime Organisation (IMO), the interpretation of ‘fuel used on-board’ includes use in both main and auxiliary engines, and boilers. Ships can meet the new requirements by using low sulfur fuel oil such as Marine Gas Oil (sometimes called distillates), while an increasing number of ships are also making the switch to LNG as a marine fuel. If successful, these ECAs could be the catalyst for greater marine emissions restrictions worldwide in the future – and a sharp demand for LNG as a shipping fuel. The widely held view is that LNG will certainly be the marine fuel of the future. Bomin Linde LNG has been on-board with this growing market for some time. It’s goal is to become a leading supplier of LNG for the maritime sector by establishing infrastructure for LNG in the North West European ECA and, later, globally. The company has previously told gasworld that it sees the potential for up to 10% of the whole Baltic Sea fleet to shift to the use of LNG within the next 5-7 years. Another company increasingly active in the maritime sector is Parker Bestobell Marine. A division of Parker Bestobell Valves, it has more than 35,000 cryogenic valves fitted on ships and has recently developed a brand new range of high pressure global valves that are fitted in LNG fuel gas systems for MAN ME-GI engines, where natural gas is injected into the engine at over 300 bar pressure. 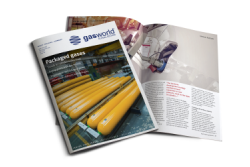 The company explains in an Interview of the Month with gasworld this month that the marine sector offers more stability for its cryogenic valves at present, as the wider LNG business endures stormier seas at the hands of fluctuating energy markets. 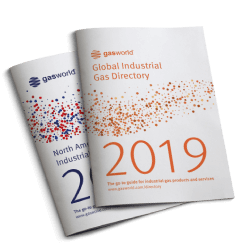 Several industrial gas and equipment companies have been successfully developing engineering solutions for the LNG industry for decades, including Air Products, Linde, Chart Industries, and Cryogenic Industries. These range from nitrogen and natural gas dehydration membrane systems for offshore platforms in upstream applications, to dry inert gas generators for LNG carriers, shipboard membrane nitrogen systems, and land-based membrane and cryogenic nitrogen systems for LNG import terminals and base-load LNG plants downstream. In addition, a range of equipment is continually adapted or developed for the marine sector and the sea-based transport of LNG – spanning liquefaction, storage and through to delivery. 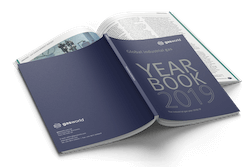 Cryogenic valves are essential in this business and a number of companies continue to expand their offering for LNG applications, while technologies for small-scale LNG plants and liquefaction processes to vehicle fuelling systems are constantly evolving. Even plate fin heat exchangers, which might otherwise be thought of as pivotal only to air separation operations, are a fundamental component for many modular mid-scale natural gas plants and nitrogen rejection units. 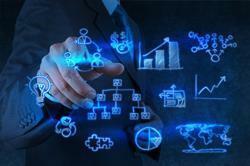 Chart is particularly active in this space, developing units for these applications. Among some of the new products developed for the LNG sector of late are storage tanks, reliquefaction plants, dispensers and LNG pumping technology. CIMC Enric recently completed a one-year trial of new 40ft LNG containers for intermodal transportation, the aim of which is to upgrade transportation logistics on a global scale and eliminate the huge investments and long lead times associated with LNG carriers and infrastructure on LNG terminals. Cryostar has been busy in the development of LNG distribution of late, introducing the EcoRel reliquefaction plant which utilises nitrogen as a refrigerant fluid and has already been delivered for 18 vessels including the world’s largest 266,000 m3 Q-Max class LNG carriers. Cryostar has also very recently unveiled a new dispenser it is simply calling ‘2.0’. As explained in our equipment profile this month (see link, right), the 2.0 dispenser is both user friendly and automated, and boasts a new coriolis flow meter and electronic calculator validated for weights and measures approval according to the European Union’s Measuring Instruments Directive (MID). LNG in the transport space continues to advance and investment in dual-fuel (LNG and diesel-powered) truck technologies proliferates upon the completion of successful trials. Dual-fuel is an innovative technology that allows natural gas to be used in conjunction with diesel, reducing the total consumption of diesel and cutting carbon dioxide (CO2) emissions. LNG typically accounts for up to 60% of total fuel consumption for a dual-fuel vehicle. Finally, the Industrial Gas Project House (IGPH) – a cooperative of specialist companies comprising iGAS Technology Solutions, Filltech GMBH, Aeroflex, Krytem, and m-tech gmbh – has revealed a breakthrough in LNG pumping technology in the past 12 months with the development of fully certified 350 bar LNG pumping technology. The company revealed the innovation amongst a raft of progressive cylinder filling technology announcements in late 2015. So what is the industrial gas view of the LNG business in 2016? The view has changed considerably in the last 1-2 years, largely linked to the fluctuating energy markets and the crash in oil prices in particular, the latter having impacted the economies of LNG. There are various examples of this in the gases industry, with various companies feeling the effects and some notable consequences on balance sheets. But a very visual example might be seen at Air Products’ Port Manatee manufacturing facility in Florida. In January 2014, having increased its active role in the growing US LNG export market and seen demand for its LNG technology soar, Air Products dedicated a second US LNG manufacturing facility in Port Manatee, Florida – doubling the company’s capacity for its world-leading technology and, more specifically, its larger LNG heat exchangers. But two-and-a-half years later, and Air Products was reportedly forced to lay off an estimated 30 full-time employees from its Port Manatee facility, citing the drop in worldwide orders for LNG equipment manufacture. So is the LNG business dead, in the US or otherwise? It would be easy to think so. The market is crunched, and clearly not what it was two years ago. Various examples exist to affirm this and the industrial gas and equipment has in many ways paid the price. 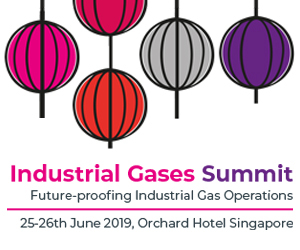 Yet those same dynamics that once propelled LNG to the forefront of industrial gas community thinking just a couple of years ago still remain, and there is little doubt that the long-term curve for this business is one that is upwards in nature. Indeed, CIMC Enric believes that with the price of imported LNG on the decline, LNG in China is now much more competitive than ever before. And in a huge region like the US, LNG stations are still under construction along interstate highways to support the nation’s long-haul trucking operators. Fluctuations in related energy markets are just that, fluctuations – the long-term outlook for LNG is one of strong growth. 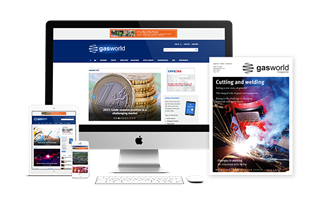 As one industry insider told gasworld earlier this year, LNG is here to stay. Cold is an absence of energy. So it’s not surprising that our global need for cooling has largely been overlooked by policymakers as they wrestle with the energy challenges that we face. But this oversight simply can’t continue. Duncan Gaskin, Market Development Manager, discusses the LNG marketplace, how LNG is not quite on the resuscitation table in the US just yet, and why the company is in calmer waters in the marine side of the business right now.